When something comes along that sounds too good to be true, than it most certainly is. Since that time I have come across a lot of promises by other people and this adage has always held true for me. I have slowly learned that if something is too good to be true, that it must therefore not be true. So imagine my surprise when someone introduces Fiverr to me for the first time. The premise is simple, you can find someone to do anything you want done for just $5. At first I laughed and chalked it off to a novelty site or a place to pay people $5 to go hug someone or something trivial like that. It came as a shock to me when I discovered that real people that I know (several of the people that recommended it to me are worth MILLIONS), explained to me that they use it for real work. So I had to try it for myself and that involved ordering some Gigs off Fiverr and paying real money to see how it worked out. So as part of this experiment I am going to show you how my 5 gigs that I ordered each turned out and if it is worth your time and money to use it yourself. In short, Fiverr is a gig marketplace. Asking someone to do something is called a “Gig” and each gig costs $5. Sellers on this marketplace create ads for specific tasks or projects that they are willing to do for just $5. You as a buyer will browse and search the site for gigs related to the task you have in mind. Each Gig has its own page where the gig is explained in details usually outlining what the seller will or will not do for the $5. You can read reviews from past buyers, and you can view a portfolio of past work (usually, if it is provided by the seller). When satisfied, you simply purchase the gig. You will pay $5 + 10% fee to Fiverr for facilitating the transaction (so a basic gig costs about $5.50, but more on that later…). It honestly was as easy as buying a product on Amazon. Seems pretty simple right? 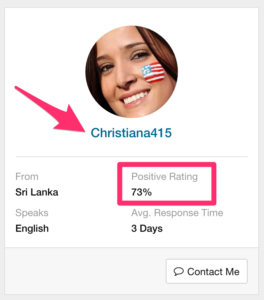 You are probably wondering what kind of stuff qualifies as a Gig on Fiverr? Well thats a fair question. As I mentioned I expected gags and jokes like “ill draw a pony on my sidewalk and put your name on it”. While there do seem to be some of those, the vast majority of Gigs are extremely valuable. In fact at first glance I’m shocked at the value I can get out of someone for $5.00! It is hard to encapsulate everything that Fiverr can do here, without boring you. But I assure you that the variety of gigs is basically endless. Some of the more practical gigs include logo design, social media artwork, voiceovers, video testimonials, marketing advice (be careful on these ones), writing, transcribing, photo editing, and so forth. So to truly test the service I decided to buy 5 gigs on Fiverr and review them for you, showing exactly how they all went. 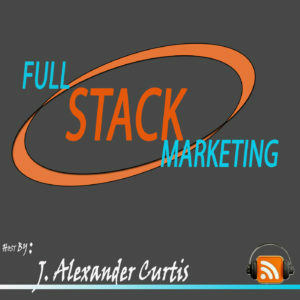 A while back I thought I would start a podcast on “Full Stack Marketing”. 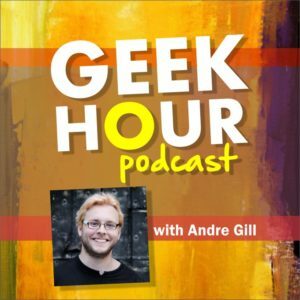 So I decided to use Fiverr to build resources necessary for this podcast. Note: I have since decided not to do the podcast (to put more efforts into other projects I had like my YouTube), but I had already got these results and wanted to share them. 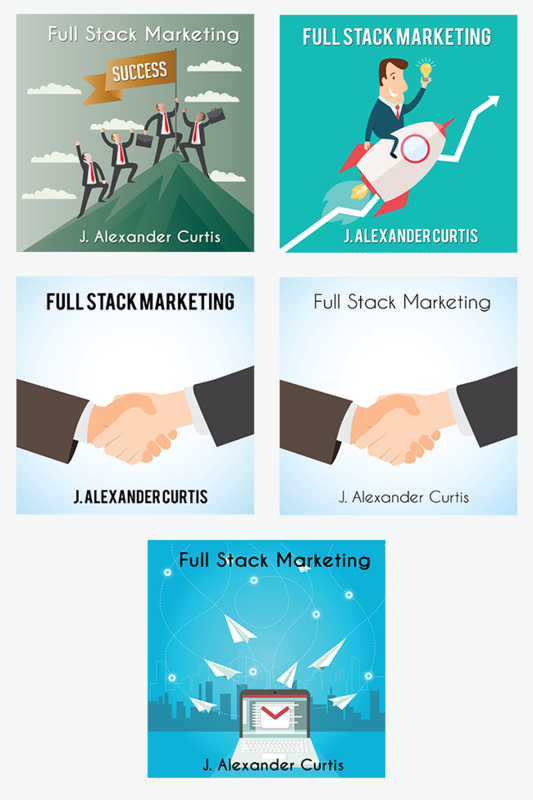 From talking to friends, it seemed like most people were really interested in the graphic design that you can get from Fiverr, so I made sure to buy multiple graphic design jobs to show how the quality of these gig types are. As mentioned, you wanted to see graphic design and I just so happened to need a cover design for my new podcast. So I opted to get it done on Fiverr. This gig is the top gig for podcast cover art, so I figured I would be a fool not to try him. He shows several designs that he has supposedly done in the past, and they all look really good. As my first gig I am actually really excited because if i can get one of the pieces he shows in his portfolio for just $5 then I will surely be getting a good deal. Your cover art design is the face of your podcast. Stand out from the crowd with an EYE-CATCHING, Simplistic Design that will transform random visit, to a regular listener! Well, you found it! 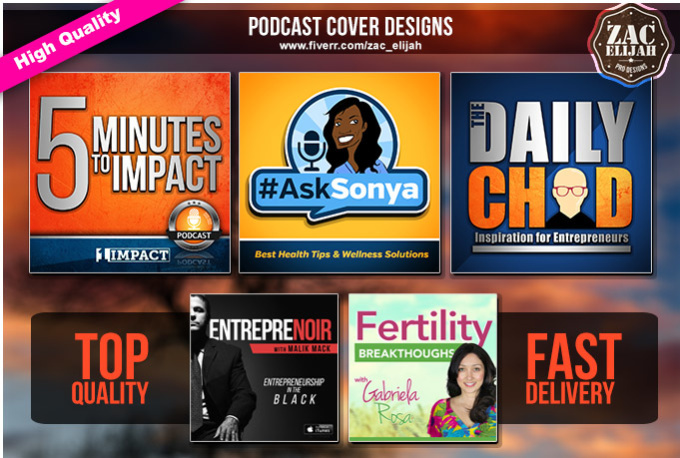 Zac Elijah Professional Design is your Number One Solution for your podcast graphics needs. 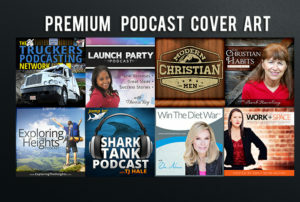 For $5, we will provide you with catchy and attractive podcast covers PNG or JPG) in itunes standard 1400×1400 dimension. We will perform 3 rounds of edit. What is more, we will deliver within 48 hours. So far, everything sounds good, I place an order and end up adding some extras. $5 will only get me a single revision of podcast artwork. Having worked with expensive designers in the past I know that revisions are just a matter of life, even when buying high end work. I can only imagine that I need plenty of revisions with a $5 gig. So I opt for the unlimited revisions option and I also know that I need an editable source file like the photoshop document (PSD) so I opt for that option as well. Now we are up to $15 for the gig. Finally I decide that since I don’t have a logo yet (for a podcast, your cover art is basically your logo) that I will add the extra that asks him to “Create a custom unique logo for your podcast”. That is another $10, meaning that after Fiverr fees we are looking at $26.25! So much for $5. For the purposes of this post I knew that you wanted to compare quality of multiple Fiverr gigs so we couldn’t chalk one gig review up to Good luck or Bad luck. So I venture into the second most popular podcast cover art gig. I am not going to lie, his portfolio was not quite as impressive as the first gig, but still looked good nonetheless. The good news is that I can now confirm that at least this gig includes real artwork the seller has done, because my podcast art was placed in his portfolio after completing my project (with Gig #1, I’m not sure the art is his actual work). This seller has perfect 100% rating on Fiverr which is kind of unheard of, another great sign for him. He also offers a full size podcast cover art (2400 x 2400) unlike Gig #1 which was only 1600 x 1600. This is another great pro for Gig #2. He also promises unlimited revisions. 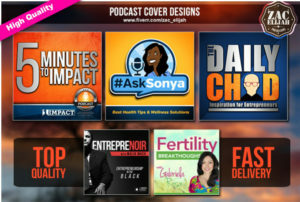 Want to launch your podcast or considering rebranding? This time I decided not to buy any extras. But his extras included faster delivery (in just one day), the source file ( I presume .psd), social media images to match your artwork, and a license for commercial use. These extras are more expensive than the first coming in at $20 each with the exception of the 1 day delivery being $15. As mentioned I paid $5 and waited to see what the results were. Everybody loves pictures. I’m sure that you’ve had your attention drawn by them at some point during your day. Images are power. Images, design, color and graphics hold within them the power to convey distinct and compelling information. They have the strength to engage the viewer to step closer to the source or to push away from it. Web and iTunes ready documents (PNG, JPEG) (300 dpi ) . I once again kept it simple with paying just $5 for the basic gig, however the seller offers extras such as 1 day delivery, the original source file, provide a pro cover, add special effects and text effects, and add facebook cover art. The prices for these vary from $10 – $25 each. For this gig, my greatest concern were some of the extras. There is no explanation to what the seller meant by “Provide Pro Cover” but this is a $25 extra and makes it sound to me like she is saying she will make it look more professional, or put extra effort into it. This is naturally a cause for concern, knowing that she is holding back because I am only paying $5. Lastly she charges $20 to add a special effect or text effect. This again seems like something that should be considered part of the main gig, if there is text, then simply add a text effect as needed. This is how any other designer would work, but instead it is a $20 extra with her. The problem for me as a buyer is that I am unsure if I need these extras or not when I buy. Now as we move onto the final podcast cover art project I have to say I decided to take a risky approach and bet on an “up and coming” fiverr seller instead of one of the tried and true ones that I had been banking on previously. This seller had only one review (but it was 5 star positive), but I liked what she said in her description, so i opted to give her a shot. She provides absolutely no portfolio, so this is a real gamble. All I have to go off right now is her profile pic, the single review she has, and the description. Let’s take a look at it. First of all her profile image is of an American girl (she looks very American to me) with a tattoo of an American flag on her cheek. The girl is cute, I have to be honest, if i met her at a bar I would certainly ask her out. But I do start to question the reality of it. The seller is from Sri Lanka and this girl is clearly not Sri Lankan. The American flag on the cheek seems very over the top as a way to appeal to American buyers. But alas, I digress. 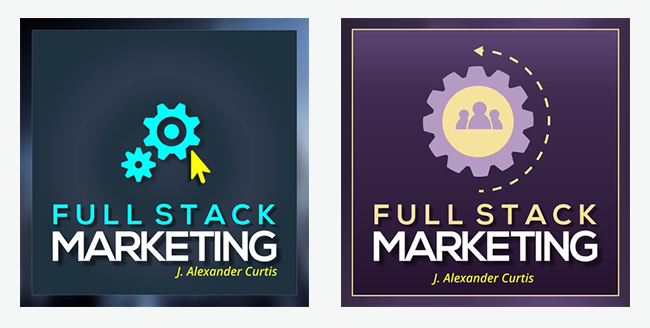 We create stunning PODCAST cover artwork that engage listeners and keep them with you longer. Increase Followers by 300% simply by telling them you’re different from the rest. Worth following. Things that I liked about the description is that it would be visible at 55 x 55 pixels. This is a sign of a good designer, thinking about the different sizes that a project will be viewed at instead of just the full size of the project. RGB colors is another sign that this person actually knows design, since RGB would be the preferred color method for this project (since it is usually viewed on a screen). Concerning elements are the number of grammatical errors in the description and the fact that they promise no copyright issue if you have the PSD. Does this mean that I am inflicting copyright if I pay the $5 but opt out of the PSD extra? When it comes to extras this gig had very few. They had the standard 1 day turnaround for an extra $10 (cheapest 1 day turnaround extra i’ve seen yet) and then they have the $10 extra which is what provides the PSD (and supposedly prevents you from infringing on copyright). I opted once again for the $5 option, which basically includes everything. I am in no rush that I needed the quick turnaround and I also didn’t really expect to use the artwork for anything other than this post (yes I’m a cynic), so i opted out of the PSD option as well. Order submitted! Final gig was to try something other than graphic design. When I was told about Fiverr, it was mentioned that its a great place for voiceover talent, so I had to try it! 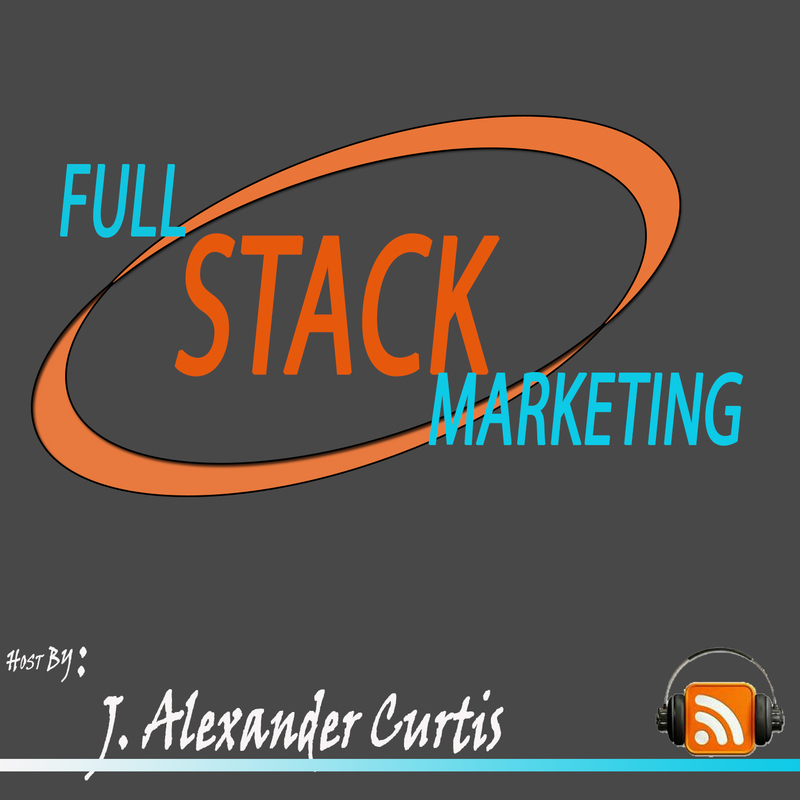 I actually wanted some voiceover for my Full Stack Marketing Podcast which I am getting ready to release, and thought it would be great to have someone do voiceover that wasn’t me! While searching around, I found a popular gig of a female voiceover that sounded great. I had the option to listen to her samples and she has a great voice. As soon as I heard a few samples I was sold. Her gig process was a bit more complex however. Her $5 gig option included just 20 words for her to speak. This isn’t a ton, so I had to buy one gig for every 20 words I wanted her to speak. I had a nice script for her to read that would be my introduction for the podcast. It came in at 76 words, so I ended up needing to buy 4 gigs (at $5 each) for a total of $20 plus Fiverr fees. She also charges extra for speaking adult content and adding background music. I prefer the raw voiceover anyway so I can do as I wish with it and add my own music. So I placed this order in at $21.00 ($20 to the seller plus $1.00 fiverr fee). Yeah I know I said I would do 5 gigs, but when I saw that I could get a message from the universe for only $5 I had a hard time saying no and wanted to share it with you all. This is a bonus gig and falls into the category of “novelty” which is what I expected Fiverr to be full of. As it turns out, there aren’t that many of these weird ones on Fiverr as I expected but there is certainly a handful. 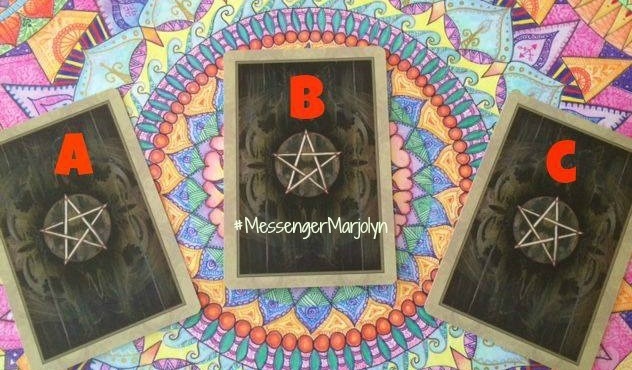 This gig promises to send me a message from the universe using Oracle cards. 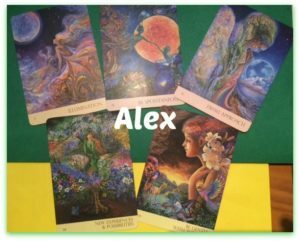 The seller will record the session as an MP3 for an audio version and will send me a photo copy of the cards she has selected for me. I would be lying if I said I wasn’t looking forward to seeing the results of this. Not sure exactly what this means, but if anyone can receive messages from the universe I am convinced it will be her. $5 spent/ maybe wasted. We will find out. Before I dive into the results of each of these gigs I wanted to explain quickly how Fiverr works in a few unique ways. As you undoubtedly figured out while reviewing my gigs above, fiverr allows all gigs to be available for just $5 as a starting point, however extras are included as well by sellers as a way to get more from the gig. The one issue I noticed with many of these is that in many cases the extras are actually almost necessary to get anything out of the gig itself. For example, if you are hiring a designer to make some artwork for you, you will undoubtedly need the actual source file for the art. In every design gig I have seen so far on Fiverr, this is an extra and ranges in price from $5 to $25 extra. If you opt out of this, you will usually get a JPG which is only of moderate quality (probably intentionally by the designers). Another extra that is common is the extended license. If you intend to make money off a project that uses artwork done by the designer you will probably need a commercial license. This is annoying to say the least that the artwork done for the initial $5 does not include this license. This means you don’t entirely own what you paid the seller to do for you. There is definitely something wrong about this, but I suppose it could be justified that Fiverr is for personal projects generally and those would technically not need an extended license. But in all practicality you will ultimately need this. Faster turnaround is another common extra. I have seen this extra on every single gig on the system so far. These range from $5 t0 $50 and it is almost 100% of the time a waste of money! If you need something fast, then Fiverr is simply not the place to get it done. The reality is that you will probably need to buy multiple gigs to get what you want from a project, and so banking on it being perfect with no revisions and without needing to try another seller is a tall order. Also, from what I have noticed on Fiverr, time as no meaning. What I mean by this is that there are gigs that promise to take 48 hours but actually take over a week (in one case it has been several weeks and counting). I have also had multiple gigs that promised a 3-4 day turnaround that took only a couple hours! Reading reviews of one of the sellers, a commenter wrote that they come back to the seller because it is good quality but he is always turning in work many days late, so the buyer has come to expect this now. The point is, if you need something in a hurry don’t use Fiverr. In many cases I bought gigs that promised to take several days and without buying the extra, I still got the project right away within a few hours. Its a gamble. 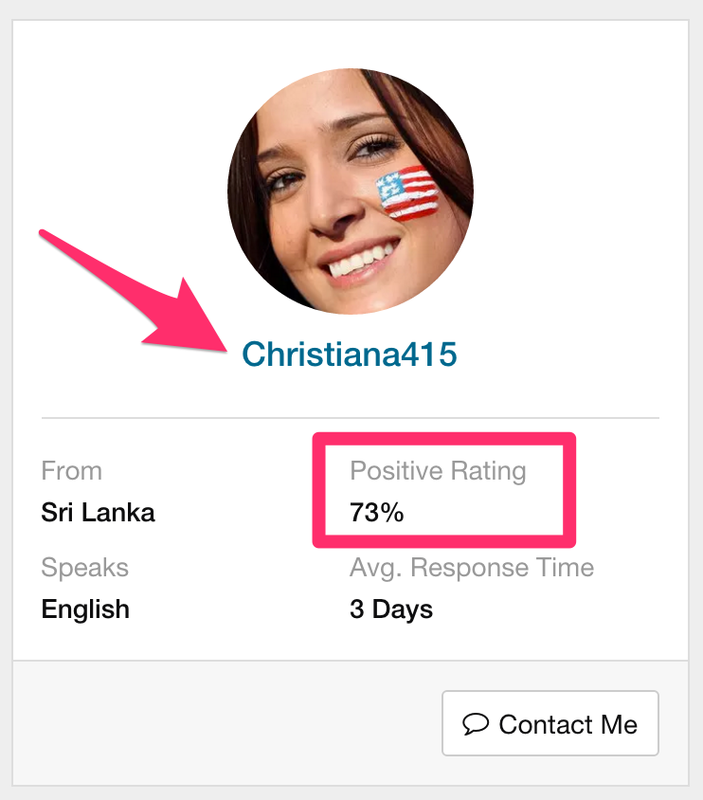 One thing that I wish I understood when I started using Fiverr is how the reviews work. Gig pages have their own reviews and then sellers have their own reviews. Sellers post gigs and will have many gigs under their belt. What i learned in many cases is that a Gig with 3 good reviews might all be fake. Look at the Seller profile reviews. What many sellers will do is that if a gig gets bad reviews, they will delete the gig (therefore deleting all the reviews associated with that gig) and repost the gig as a new one, even if it is the same exact thing. This refreshes the Gig Reviews because those reviews are only associated with a specific gig. The better thing to do is look at the seller’s profile and see their positive rating there.This is something they can’t simply run away from and these reviews are more telling than the Gig Reviews. 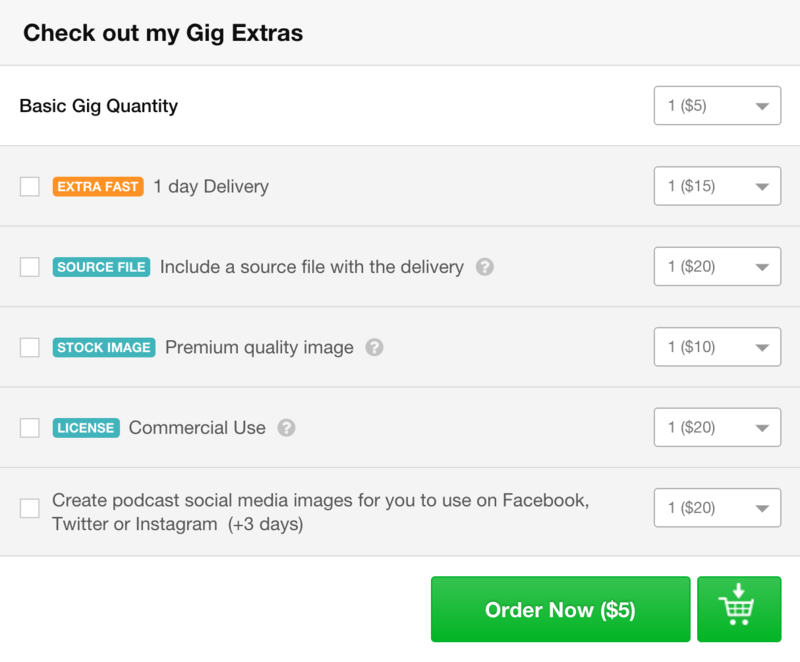 To do this, look at the seller profile widget to the right column of every gig page. I have an example to the left right now. You can see the positive rating for the seller in general in that box (i highlighted it here in a pink box), this is the overall satisfaction across all gigs and all history on Fiverr. In the case of the screenshot i took, the seller had 5 star rating on this gig, but 73% satisfaction on her seller profile. Click the seller’s name to see the full profile and other gigs they have. In the case of this seller, she is currently running 3 gigs that are all exactly the same. Like any good marketer, the sellers on Fiverr will basically A/B test multiple images and descriptions for what is exactly the same gig to see what works. This also get them to show up multiple times on the same search. Most Americans are not willing to do a whole lot for $5 (it is just that 5 bucks doesn’t get you hardly anything in America, life is much more expensive here), so it shouldn’t come as any surprise that most of these gigs are not by Americans (other than the silly ones at least). This further messes with the timeframes because of time differences (another reason not to use Fiverr in a rush. Communication was never too tough for me, but there definitely is a quality difference as a rule of thumb. When using other sites like oDesk.com and Elance.com in the past I would always filter results so that it only showed me Americans, Canadians, and Brits. Unfortunately Fiverr doesn’t offer this option, and tracking down the location of a seller requires you to go to their seller profile page (see above) and is not available from the Gig page. Good news is that Fiverr actually stands by all of their gigs and offers to refund anything you are not satisfied with. Luckily for you (unluckily for me) I actually had a problem with one of my sellers and needed to enact this clause, so I contacted Fiverr support and found the process to be surprisingly straightforward and awesome. You work with a real human being from Fiverr and not the seller directly. The Fiverr employee is a mediator and tries to make it work and has the ultimate power to refund you. I was able to work with someone who understood my situation and helped me out. I was very happy with this end of the service. (Keep reading for the story about why I needed to use the satisfaction guarantee). Some gigs on fiverr tend to be better than others. So I figured I would warn you where warning is due. 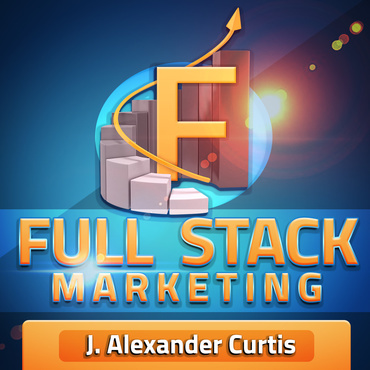 As a rule, it is best to completely avoid the entire Online Marketing section of the website. These are services that promise to help promote your SEO and link building activities or push users to your website. These are all usually done fraudulently and in scammy ways that Google does not like. It can hurt your website a lot more than it helps. Another section I would be cautious with is the Programming and Tech category. While there may theoretically be a few decent gigs in here I put the word caution on it because most of your results here will not be worth the time or money. I see people promising to code advanced websites and plugins for you. Unfortunately you need to remember that the people programming need to make a living and with programming in such high demand, why would any programmer waste any more than 10 minutes on a $5 project? This leads the pool of programmers in this category to be people that are not good at programming or people that are making money through other means (spamming and security related issues). Keep your wordpress sites locked up tight and don’t let any Fiverr programmers anywhere near it, trust me it’s not worth the savings. You have all been waiting for the results and I promise to deliver! I’ll go through each project one by one and then reveal the winners (and losers) at the bottom of the page. This was the gig I actually had the most optimism about. I really expected to be wowed by the results as I really loved the portfolio they have demonstrated on the Gig page. Maybe it was also because this was my first ever gig on Fiverr, or maybe it was because this is the gig that I ended up spending the most money on overall, but regardless I was really excited to see the results of this. This gig was my first gig on Fiverr. The original project was delivered late. With the extras that I had purchased, the 2 day delivery expectation was moved to 4 days. This is weird to me to begin with, because how does delivering a PSD add 2 days to the project time? You have the PSD when you export the JPEG, so me asking for the PSD shouldn’t add any time to the project, let alone doubling the time. I didn’t fight this however, and just let it be. The 4 day delivery date and it took 7 days to get the project initially. When I received it, I was very disappointed. In the original informational questionnaire that the seller sends you about the project, I had noted that I wanted a flat design with bright modern colors and also attached a sample of 25 of my favorite cover artworks on iTunes. The logo itself is 3D! This is a major deviation from the flat design I requested when I first spoke to him. I would call the design tacky to say the least, I am not a fan of my podcast being represented by the letter “F” (a four letter word comes to mind). There is just a lot happening here. From multiple gradients, radial mixed with linear, overlays and varying opacities, it feels like we selected every photoshop option and threw it into one square graphic at once. Yes, in 2016 a designer sent me a design with not one…. but TWO lens flares in it. This is unacceptable and requires immediate revocation of your “designer” card. This can only be worsened by the fact that I asked for a flat design. If there is any world where a lens flare is considered an acceptable design technique it sure as hell doesn’t exist on the planet of Flat Design. Needless to say I was disappointed, and asked for him to do a new design and actually follow my guidance this time. What followed is a story that can only get better. The designer basically fell onto his deathbed (no joke!). He accepted the redesign and politely told me it will be done promptly. A week goes by, and then another. Finally a glimmer of hope, a message claiming to be the designer’s wife comes into my inbox. She promises me that the seller has fallen ill with Dengue Fever. She also found it necessary to send me the webMD page for Dengue Fever as if to prove that its a real and serious disease. Luckily I do know vaguely of Dengue Fever, but haven’t heard of anyone getting it in the United States. Up to this point I thought I was dealing with an American designer and it was now I discovered he is from the Phillipines. I didn’t even humor the message with a reply, but a few days later I get a request asking that I do not cancel the order. My poor designer is getting worse and worse by the day. He is bed ridden, can not move, and hospitalized indefinitely. While I want to be nice, at the same time, this doesn’t sound like he will be making my podcast design anytime soon. She demands I do not cancel. I agree and promise that I will not for now, but I need results soon. Another half a week goes by and I get another message from the designer. His platelet counts have dropped to 30, and I am asked that I pray for him. Now as a matter of reference for everyone out there. A normal platelet count would be between 150 – 350. So 30 is ominous. In fact, 30 is basically a death sentence, anything below 20 is certain death, so my designer is now meeting the 11th hour. I had to cancel this request because it got worse and worse as time went on. After reading comments from other customers on his review page, I noticed several explaining that he frequently delivers excuses just like this (he is deathly sick and wasn’t). The wife constantly begged me not to cancel, which only made me more interested in cancelling. Reluctantly I canceled the job since I was not satisfied, I had spent more money than any of these other projects and it had taken longer than any of them too. Note: this is not the first time I have had a designer from the Phillipines die on me. A few years back I had a programmer from the Phillipines contract Malaria and die. All I can say is that I don’t recommend living in the Phillipines, however this country does pump out great workers in general and it is my preferred non-American country to work with when looking for overseas work. What a wonderful experience this one was. First of all, this is an American Designer. This is a huge plus for me, as quality and communication seems to be more natural with US sellers. Also his response was very fast. I can only imagine he started working on the project within minutes of me submitting the artwork. The exact turnaround of this project was about 3 hours and that is without paying for the extra delivery. The timeline set on the gig was 3 days and instead I got it in three hours. I was overall very impressed with this designer. He did everything right. He seemed to take the inspiration that I gave him to heart and actually thought about what I might want based on what I provided him. I think that this is a great sign of a great designer. The colors are nice and the design is flat and will look good at different sizes. He responded to my positive review quickly, showing again that he is responsive on the site. I wish I had more to say about this gig, but the truth was that it was smooth and fast. It is everything you could ask for and the end designs were in my opinion really good. They were definitely something I would use professionally, which is more than I can say for most of the projects I seem to be getting. This designer was also very fast and efficient. Once again she took the design inspiration I sent her to heart and ran with it, this is such a wonderful thing to see, when I had such low expectations for this platform. She also provided me more designs than I expected. I think that this is a great quality seller on Fiverr, however some of the design principles that I noticed showed a lack of true expertise as a designer or experience. The fonts are very important for something like this and the fonts lacked a lot of love. The first design was too hard to read at smaller sizes. The color selections were also a bit rough as well. Nothing major, but just small nuances I noticed that indicate a lack of design experience on her end. However, with that being said I have to admit that they are still pretty good overall. Obviously she is pulling from a stock icon bank somewhere (optimistically, or worse she is pulling illegally from google), as it wouldn’t be possible to develop all of these icons in this amount of time. However, the same can be said for Gig #2 as well, he clearly pulled from an icon bank to complete the project. I do not expect custom illustrations at $5 however, so I am not disappointed by this. I think in general, I was most disappointed by her typography. Not just the selection of fonts, but how she used them. It does seem that she is basically pulling from a bank of already done designs and putting the text on top. The placement of the text seems to have nothing to do with the image nor does it accomodate the image. Kudos must be given however for the fact that she delivered 5 designs. This is a good value for $5! Oh this gig. This one lives up there with Gig #1 as far as the interesting factor. The artwork is only a little bit worse than an 8 year old could have done using MS Paint on a Compaq PC back in 1994. The seller really wouldn’t shut up either from a communication perspective when I just wanted to cut my loses on this one. Here is the breakdown (I am excited for you to see the end result). This girl is something else. She sent me so many messages. She sent a message 1 day after accepting the project just saying “Hi, I can do it”. I almost wanted to reply back, “Yes you can”. Then she finished the job and submitted the monstrosity seen above. I didn’t reply, so she sent more messages telling me she is done, I said thank you, and she continued to send me messages that she was done (not sure why). She sent me the same file three times on different days. The project was already closed and I was wondering why she was continuing to contact me. As you can tell from the finished project, the quality is not even worth $5. This can not be used in any professional capacity, and I wouldn’t even use it in a personal capacity. Nothing about this project would allow me to recommend it to someone. Keep in mind that this is the girl that has no portfolio on display, that I decided to take a gamble on. Turns out we all know why she has no portfolio. There was very little communication happening on this project, but the end result was something impressive. Her voice was delightful and she offered me multiple versions at different tempos, a nice touch. You can listen to the raw file above that she provided me. I could have paid extra for adding music and stuff, but opted to keep it simple and just get the raw audio. This allows me to put it to music myself and have better control of it or change it in the future. The quality is amazing. I would highly recommend Fiverr for voiceover projects, these are the types of projects that it is perfect for. To give you a taste of something really special, I wanted to show you another type of project we could do on Fiverr. For only $5 you can get a message from the universe. I don’t know about you, but that sounds like a priceless endeavor. So how could I say no? I didn’t, and I signed us up for another Fiverr gig, to get a message from the universe. You can get a message from the universe too by visiting this page. Obviously Marjolyn didn’t disappoint. She delivered me the project in just a few hours that included a pictures of the cards she pulled for me and the audio recording of the session that you can also listen to below. All in all, I can’t complain. While I am not the type of person to believe in this sort of psychic stuff, it was fun nonetheless and totally worth $5 if only for the entertainment value. If you really believed in psychics then I can imagine it would be an even better deal for you. She read an extra 2 cards for me as well because the universe told her to, so that adds even more value to the deal. During my experiment I had the fortune and misfortune of taking advantage of the Fiverr guarantee. While Gig#1’s designer fell ill with Dengue Fever, I tried my best to cooperate. The project was originally supposed to take 2 days and it had now stretched over 6 weeks. I hadn’t seen any work and based on the information I was getting, it didn’t sound like he was doing very well. I didn’t do this to be mean, but since there didn’t seem to be much hope for me getting my project, and because i had over-paid for the project to begin with (this gig was my most expensive gig by far because of all the extras I bought), i decided to request a refund from Fiverr. All I can say is that their support is amazing. I heard back quickly, they were able to read all my messages and declare instantly that I was eligable for a refund. The “refund” took about a day to process and then it came into my account in the form of credit. This is the only downside with the guarantee is that it only offers you refunds in the form of Fiverr credit. So if you are like me, this credit is still sitting in my account because I haven’t found a use for Fiverr since this experiment. The process was quick though and it is nice to know that I am safe buying on Fiverr. So as you can see, there are pros and cons to Fiverr. I figured at the end of this tutorial I would be able to say for sure this is worth it or for sure it is a waste of money. It seems like this can go either way. I actually had some good successes on Fiverr, that made it worth it. But that is not without its set of misses. The good thing is that it’s only $5, so you aren’t out much if it doesn’t work out. As for the podcast artwork, despite all these attempts, I still ended up not using any of them! I actually have a design I created myself which I decided I liked more. None of the artwork I got really blew me away, but there were a few that were not bad. The voiceover was a great success, and I just need to do some work and I can easily turn it into a podcasting intro. Go ahead, give Fiverr a try, its only $5! But you do need to be careful and do your research ahead of time. How do you feel about Fiverr? If you have used it before please level a comment below and tell us how great (or horrible) it was! Previous article How to Use Font Awesome with CSS? I love Your Laravel Tutorial Series.im getting good at laravel … 🙂 .suddenly i saw this post. .. and i thought …so.. Yes i have had several requests for this, so I will do a series about it at some point. Can’t make any promises on the timeline of when it will come out, but I will put it on my board of upcoming video ideas and do it when I can. Like I said, I have had several requests for this. The Gig1 was so funny. First, he was the one posing as his wife. Second, he actually wanted you to cancel the project, even though we all know he wanted you to do the opposite. As for the #3 Gig, couldn’t stop laughing. She needs more practice. I wish you had told her that anyway. I must say, I really like your Laravel blog tutorials. It feels so real. Thanks for the effort. I really respect that. Excellent work on the Laravel tutorial series I found on Youtube. You come across as both friendly and patient. I have some background with L5 (as I call Laravel 5 for short), so I was able to skip to about video 15…but I really appreciated these videos. Thank you for this… I was laughing so hard, the way you describe your experience is worth the read.